The AquaBlu incorporates tried and tested Kinetico technology in a value-driven package. Suitable for the smaller home with one bathroom and a standard combi or gravity-fed hot water system, AquaBlu balances the pressures of the mid market consumer budget whilst delivering the owner constant, high quality soft water 24 hours a day, 7 days a week. AquaBlu brings Kinetico technology within the reach of both new entrants and people looking to take the next step from the basic budget electric product. 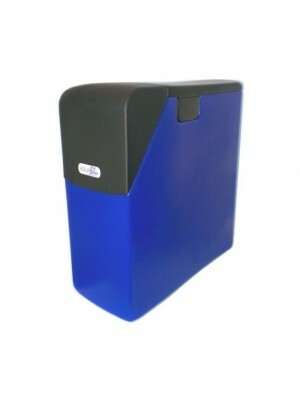 It's robust rotor moulded blue cabinet has a durable look and feel and a handy salt access lid.